Sharon Parenteau | Reno's with R.O.I. Looking to increase your home's property value? Here are four of the best renovations you can do to your home to increase property value. These four renovations can sometimes have a return on investment 5-6 times what they cost. 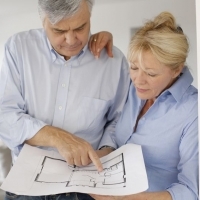 When considering any renovation it is important to first determine the R.O.I. (Return on Investment.) Spending more may not necessarily net you more. Plan carefully and make each dollar count!